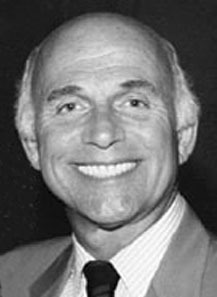 Gavin MacLeod was a comic actor in three long-running sitcoms, as "Happy" Hanes on McHale's Navy, the news writer Murray Slaughter on The Mary Tyler Moore Show, and as the Captain of The Love Boat. As a young man, MacLeod worked as an usher and elevator operator at Radio City Music Hall. He originally auditioned for the role of Lou Grant on the Moore Show (the part went to Ed Asner), but wisely, MacLeod also asked to read for the part of the harried writer that made him famous. He has complained that his later role as Capt. Stubbing on The Love Boat left him typecast, but it also got him a gig as spokesman for Princess Cruises -- still his primary job, twenty-plus years after the show was canceled. MacLeod has had a turbulent personal life and was a heavy drinker for years, but now he is a devout born-again Christian. After divorcing his second wife Patti in 1982, they remarried in 1985, the year he got sober. They co-wrote a book, Back on Course: The Remarkable Story of a Divorce that Ended in Remarriage, and co-hosted a weekly inspirational show, Back on Courage: A Ministry for Marriages, on Trinity Broadcasting Network. I Want to Live! (18-Nov-1958) · Police Lt.